Sorry, Tim Hortons and Dunkin’ Donuts. You got outbid by Krispy Kreme to be featured prominently. In the sleepy city of Angel Grove resides five average high school teenagers. Quarterback jock Jason (Dacre Montgomery), popular gymnast Kimberly (Naomi Scott), geeky Billy (RJ Cyler), bad boy Zack (Ludi Lin), and outcast Trini (Becky G) are simply dealing with everyday ups and downs of growing up at Angel Grove High. That all changes rather quickly, once these five find colored Power Coins. Or rather, the Power Coins have found them, and imbued them with amazing physical powers. Holding these power coins makes them the Power Rangers, and the world needs them now more than ever, for an old threat named Rita Repulsa (Elizabeth Banks) is after Earth Zeo crystal. This crystal has the power to wipe out the world. They’ve been chosen, but in order to defeat Rita, this fivesome has to come together as a unit to do so. Here’s the predictable part where I tell about my fond memories of Power Rangers growing up as a 90’s kid. As my parents can attest, my sister and I did like (wouldn’t say love) the original Mighty Morphin’ Power Rangers, up through Turbo. Aged 3-5 during the original air, I can’t remember every detail, but remember the show being good fun. Reboots/re-imaginings get enough grief as is, most of it well-deserved. But anyone who says the Power Rangers are sacred and should never be redone is wrong. Makes perfect sense to reintroduce them to the world, to some, their first time seeing. 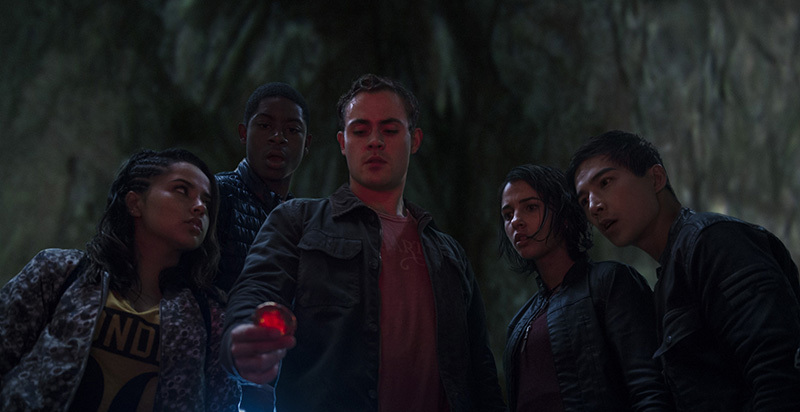 And so, 2017’s version of the Power Rangers has enough for old fans to enjoy, but actually is more concerned in charting its own path, which it does relatively well. Director Dean Israelite takes inspiration from his prior film in 2015’s Project Almanac in what ends up actually working. Throw in a dash of Chronicle and a pinch of The Breakfast Club and you have what makes up the first two-thirds of this film, certainly not original but very functional. The enjoyment of 2017’s Power Rangers will likely be directly correlated to how much one is invested in these five characters before they finally don the iconic suits. Make no mistake about it, it’s a surprisingly slow burn to the stuff that seemed to comprise most of the 2nd trailer. And surprisingly, it’s actually the best part about the movie. Sure, there’s some lame dialogue here and some odd tonal inconsistencies there, but all in all, the characters are pretty endearing, and it pays homage to the original in the sense that the original could be goofy and corny quite often. The five who make up this iteration of Rangers are competent on the acting front, even good more often than not, with the scene-stealer being RJ Cyler as the quirky but most pure personality Billy Cranston. Though he’s the Blue Ranger and not the official leader, he’s just as much of a leader as Red Ranger Jason is, played by Dacre Montgomery. Females Naomi Scott and Becky G bring attitude. If there were one slight weak link in the five, it’s Ludi Lin as the brash Black Ranger, not necessarily due to anything he does, but the character tests the nerves for a while. The presence/voices of Bill Hader and Bryan Cranston add a lot to Alpha 5 and Zordon. All, even Alpha 5, come off as somewhat grounded in reality, except for the villainous Elizabeth Banks. Her turn as Rita Repulsa initially starts out interesting (and frightening), though by the end veers into the dark recesses of Campyville. When it comes to action and direction, Power Rangers 2017 is merely okay. A good amount of the scenes feel like they were shot in the dark for no real reason, and the camera in two main chase scenes is all over the place. Israeilite’s camera work/editing feels akin to a video game with great graphics (the suits and overall design are a major plus), yet inconsistent framerate. The action in Mighty Morphin’ Power Rangers was never all-out frenetic, but neither plodding (like it can be here), either. With that said, some moments do deliver and are fun to look at. 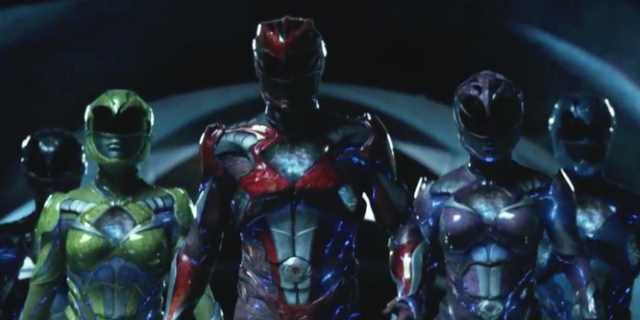 The Power Rangers are back for a new generation. Six movies seems like a aye-yi-yi-yi-yi stretch, but the first installment sets things off on the right foot. 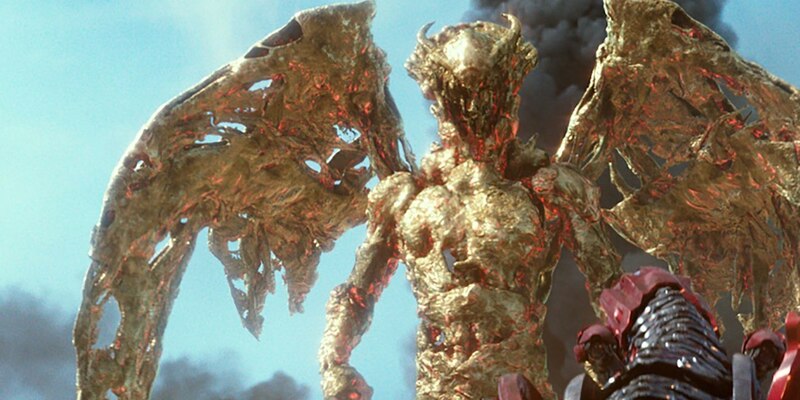 Photo credits go to morphinlegacy.com, screenrant.com, and comicbook.com. Good review. Finally, someone who liked it more than I did…haha. I think people judged this movie too hard (some say its too light or too dark, or ruin their childhood), but I think that the movie was pretty good. Can’t wait to see where they go in the future installments. Hey I read yours, I actually think we’ve got the same level of relative positivity while acknowledging flaws. Only place where you and I differ a bit is the action. I found it just OK and I believe you found it pretty good. But I agree, I think this is getting too much hate. Surprised I liked it this much. Give it a chance if possible. Think it’s got some better than anticipated emotional components. No way dude! Are you older, or younger than me (I’m 27)? I actually think that this caters fairly well to those uninitiated. There are some Easter Eggs but it positions itself for a new generation of viewers. It’s not perfect, and I may lighter on it than others, but I would recommend. I’m way older than you and I liked it a lot. I agree that it’s perfect for the uninitiated too, it made me care about the characters and I didn’t get lost at all with the story. The little surprise at the end was for die-hard fans (obviously because the people next to me went NUTS when they showed it), so there had to be more little gems in there for the fans, but not to the point that it alienated those of us new to the Power Rangers universe. Really do think it’s a good start to open a franchise. I question whether there’s enough gas to go through 6 films. But worry for another day! 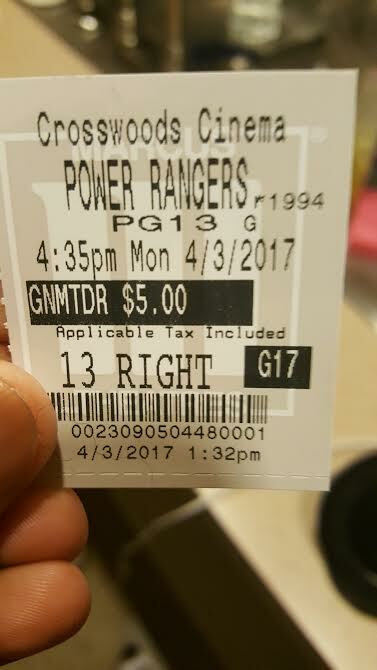 I didn’t know anything about the Power Rangers before I saw this movie and I really liked it. It was fun and the kids were great. I hope they do some sequels because I wanted to see more of them. Great review!